"Your Smile Bring Happiness To Everyone". 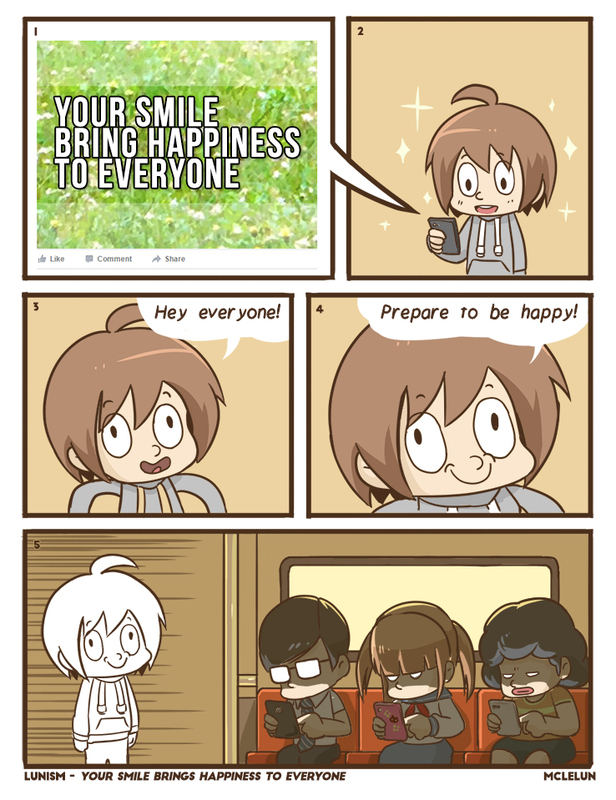 I think most people dont cares about your smile as I take public transport and notice most peoples usually smile with their phones. The only person that might appreciate your friendly smile are your neighbours.